The Kaplicky Internship Program is organized by the Bakala Foundation in cooperation with the London Design Museum. A partner in the project is the KAPLICKY CENTRE Endowment Fund. 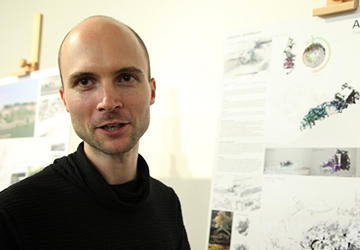 In 2015, the holder of the Kaplicky Internship was Ondrej Michalek from the Academy of Arts, Architecture and Design in Prague. In addition to the award he attended a three-month internship in the London studio of architect Eva Jiricna. Ondřej Michálek’s grant covered travel and expenses in London.